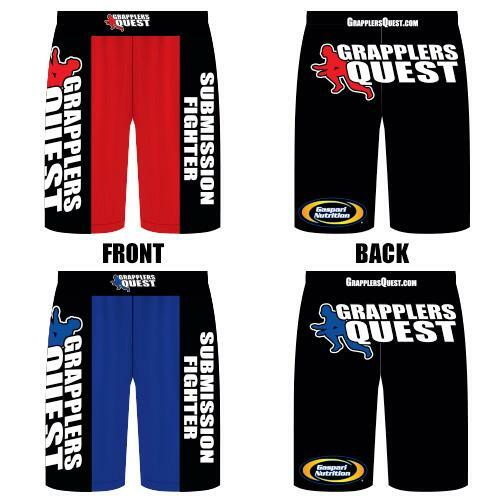 Own the absolute best pair of Boardshorts Grapplers Quest has ever produced. Fully embroidered, Split Seam design for Speed and Agility, Anti-Bacterial and Anti-Fungal material. No Color Guarantee, just size guarantee due to limited stock. Design colors and styles comes in (1) Black with Red and (2) Black with Blue and (3) Black on Black (no color guarantee due to limited quantity).